This post contains affiliate links to find out more about them please read our Disclosure Policy for all the details. Over the last 5 years of blogging when it came to Pinterest I have always loved it – in fact I got onto Pinterest around a year before I started blogging when it was invitation only and by the time I cottoned onto the fact that I should be pinning my own stuff as well, sometime around September 2011 I had got a following of around 500 just from pinning my general stuff. Just not for my main Rainy Day Mum account that is there to provide a resource for my followers and to help me grow my traffic – notice that the first point is a resource for my followers. As I focus on those two areas I have grown, currently as I write this I have 303,111 followers on Pinterest, Pinterest isn’t my top referral Google Analytics is but it’s getting closer to it each month as I focus more on what works and my pinning strategy. However, I know from looking at my analytics in Pinterest I am providing a resource for my followers they click through to the posts, recipes and articles I share and repin as well. So how do I do it! Well, I combine 2 scheduling tools and live pinning. Yes, I’m on Pinterest a lot. Once my content is written, photo’s edited it’s probably my next biggest time spent as a professional blogger. So I use Tailwind and BoardBooster and I use different features of each of them to work on my 2 points above – resource for my followers and to help me grow my traffic. I discovered Tailwind back when it first popped up – in November 2014 I started to pay for it looking back at my accounts and I haven’t regretted it since. It was the first tool that I used regularly and paid for and has since led me to pay for various different tools to help streamline my blogging. I use it for Scheduling, Discovering New Content, and Analysing how I’m doing on Pinterest. I set up my schedule and add in my pins and then use tribes, discover new content, boards on Pinterest and my Feedly reader to get new content to pin into the schedule and populate my boards. I have around 23 slots that I fill up on Tailwind but now I have a better system in place I’m looking at increasing that to around 50 in total. The analytics provide fantastic feedback on which boards are doing well, which aren’t where my pins work, which doesn’t work. I do know that I could delve into Pinterest Analytics and find out some of the stuff there but the way that Tailwind sets it up makes it so much easier to handle. I can also easily keep track of follower numbers, engagement, repin rates. I find it useful to see which images work on which boards and which don’t and then use this to do the reschedule this pin feature when a suitable break has passed. I will write more on using Tailwind for more than just scheduling your pins at a later date. And that was all I did until earlier this year when I did a month long trial with BoardBooster as others had raved about it and I wanted to know exactly what it was about and whether it would match, exceed, be a bit disappointing or complement Tailwind. By the end of the second week of my BoardBooster Free month trial, I had signed up and added in my PayPal details and was setting up more of what I wanted to use. Let’s make this clear I don’t use the scheduling or campaigns in BoardBooster – because I already have a system that I like and is working for me in Tailwind. It’s the other tools I use – Looping, Pin Mover, Pin Doctor and Group Manager. This will only apply to you if you own any collaborative boards – which I do I have some fairly large ones including a Baby and Toddler Play Ideas board, Learning with Nature and a Collaborative Blogging Information Board with those boards I like to keep track of what people pin, how often they are pinning and whether they are pinning the same content all the time. In Group Manager, I can see all of that data and then send the Pinner a message or an email to politely say HEY could you just slow down on your pinning and watch out how often you repin the same thing to the board. As I’m sitting here in my short’s and tank top with all the windows in our house open to get a breeze flowing through (no aircon in our home in the UK) I really don’t want to think about Christmas, Winter, Fall, Halloween, Easter – yeah you get the idea I’m focused on creating content and sharing content now for Summer, End of School Year, BBQ’s, Travel and starting to creep in with some Back to School and Getting Ready for Starting School. So using the looping feature I have my seasonal boards looping content from the bottom of the boards to the top again and then… deleting the duplicate pin that doesn’t do as well so I only have 1 pin for each of the links. I recently decided that as food is really important to families that I needed to separate out my food board more I wanted Desserts, BBQ Recipes, Breakfast, Lunchboxes and Slow Cooker all to be on different boards so for a little extra $0.01 per pin I was able to move pins using the Pin Mover into the newly created boards. Saving me a lot of time searching through my boards and moving them all manually. This like Pin Mover is one of the extra paid for services in BoardBooster but it’s worth its weight in gold. Pinterest Smart Feed Algorithm is based on lots of things but one that is fully acknowledged is that it looks at the QUALITY of your pins. Pin Doctor lets you look at your boards and check on the quality of the pins – remember up there I said that I didn’t want to focus on Christmas at the moment, but you know what from looking at my Stats over time I know that I need to get ready for Christmas and probably a lot sooner than you think and I want to make sure that those Christmas Boards are going to be GREAT for me this year. So I ran Pin Doctor on them and now using the tools inside BoardBooster I can sort out all of the issues that those boards may have (remember I’ve been on Pinterest around 7 years and used it as a user first and then as a brand) before I needed to really bother about the quality of my account and since the Smart Feed looking at over 20,000 pins to find the duplicates, problem pins and those underperforming has just been too big a task for me. I pay $5 plus the $0.01 for each PIN when I run Pin Mover or Pin Doctor so that varies, but once I have gone through my boards I will not be using them regularly. BoardBooster does allow you to schedule though and 500 pins on a schedule wouldn’t be enough so I would likely have to increase to around $20 or $30 a month to keep up with the use that I currently have for BoardBooster and to schedule 50 pins a day. 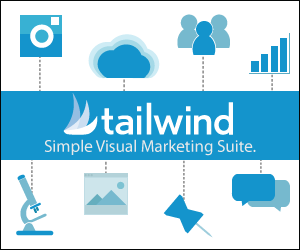 Tailwind I have their Blogger and Small Business Plan it works out $9 a month over the year and I have unlimited pinning capability there. So – Tailwind I pay in a lump sum $119 a year and then the $5 a month for BoardBooster – it works out at $14 a month in total but is a lot of time saved that I can spend creating quality content, producing products and working on other projects.